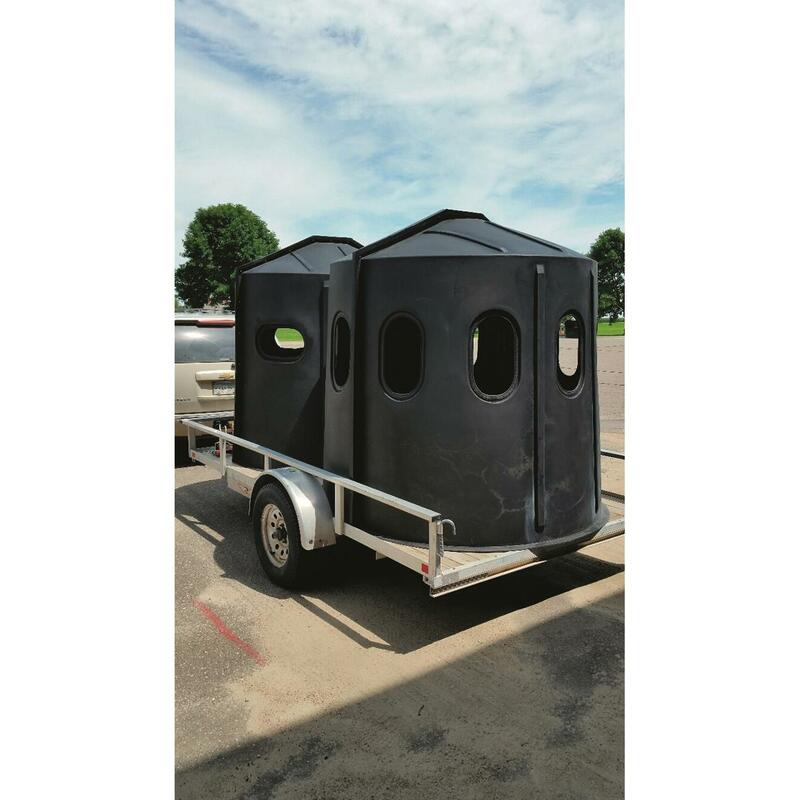 Enjoy your next hunt from the roomy comfort of this Maverick 5-Shooter Blind. It boasts a 5.5' diameter and 75" center height that accommodates up to 2-3 shooters with rifle or bow. 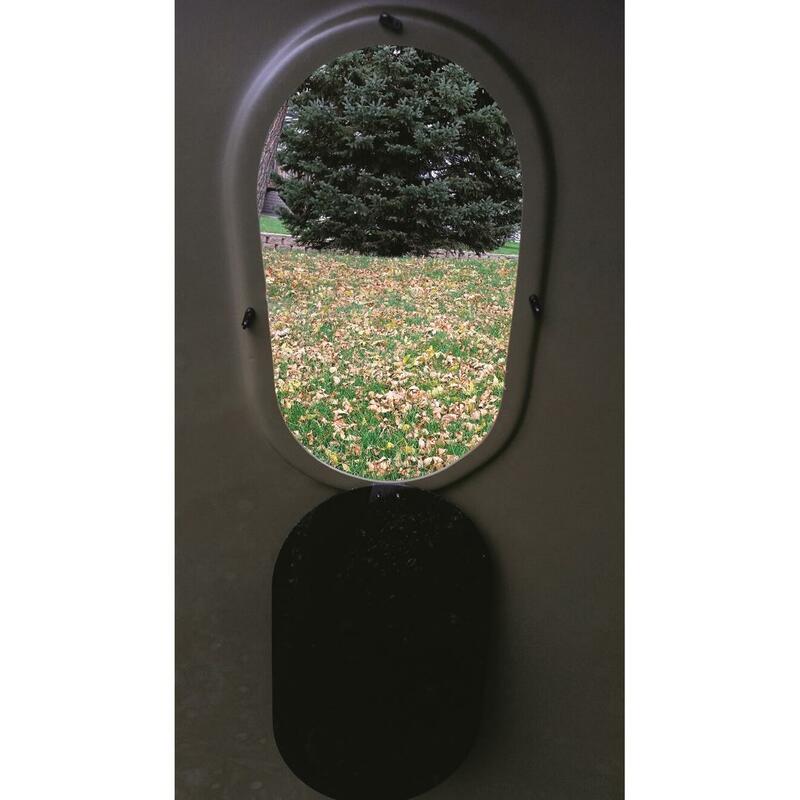 Six windows offer 360º viewing with no blind spots. 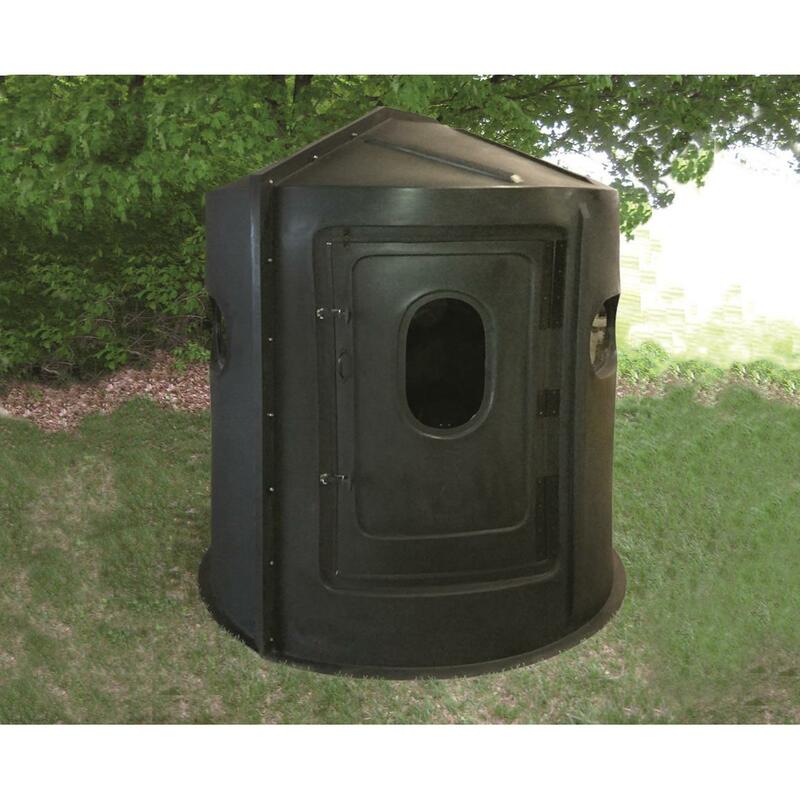 Made of heavy-duty polyethylene, the Maverick provides a durable, semi-permanent hunting solution that offers superior protection from the elements. Its unique, 2-pc. design is easy to assemble / disassemble, and the whole works weighs just 100 lbs., so it's easy to transport and change locations. Note: This item is shipped by commercial carrier curbside. Unloading is the customer's responsibility, including off the back of the truck. This product ships in one box, measuring 80"l. x 72"w. x 36"h. and weighing approx. 100 lbs. No expedited delivery. High-value orders require a physical street address, otherwise insurance costs will be added to the shipping total.